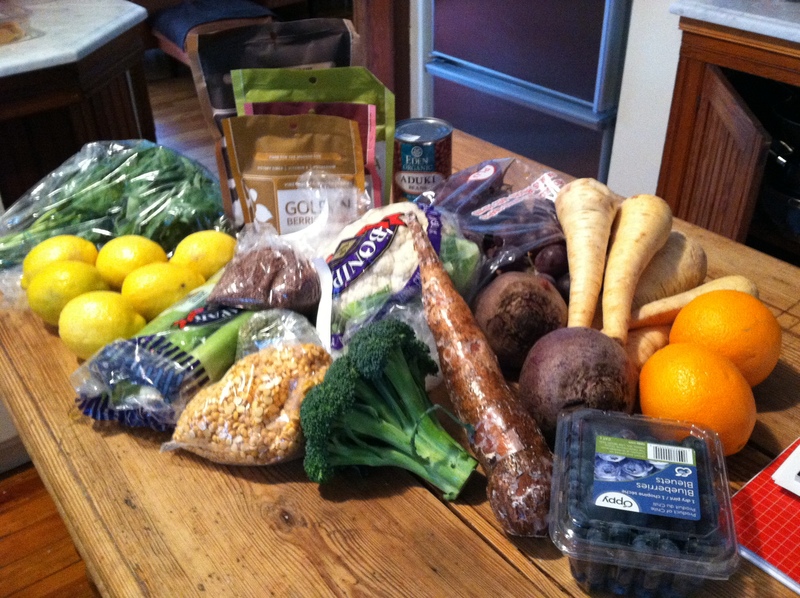 If you happened to read Winter Re-boot then you are aware I am doing a two week winter “cleanse” so to speak, getting back to the basics of eating and nourishing my body. Which means, introducing new, healthier food options. Since I will be working the next four days (ugh, 4 12hr shifts in a row…. ), I decided to make my meals today and will make breakfasts the day of. I must say, I used to think quinoa was a bland food. What I have come to realize, it is so versatile, and if you are unfamiliar with it, SUPER healthy. For vegetarians/vegans, it is high in protein and gluten free (win win food, if you’d ask me). For the next four days, here are the meals I plan on making (well, I already made the dinners and lunches). Assemble the soup base. In a large pot, add extra virgin olive oil on medium flame. When the pan is hot, add the celery and onion. Sauté for about 2 to 3 minutes. Add parsnips, poultry or vegetable seasoning, and broth (or water) along with sea salt and black pepper. Allow the mixture to come to a boil. Then lower the flame and simmer for 30 to 45 minutes. When the parsnips are tender, remove from heat. Make it creamy. You can use an immersion blender to make the soup smooth. You can also blend the soup in batches using a standup blender. When the soup is blended, pour it back to the pot and add the dairy-free milk. Reheat the soup. Taste and adjust seasonings. Just a FYI, this is delicious! Crazy that it is vegan and nut free. With the quinoa and hemp seeds, it has almost 17g of protein! To prepare: place the basil, seeds, oils, garlic, nutritional yeast and salt in a food processor and process into a pesto sauce. 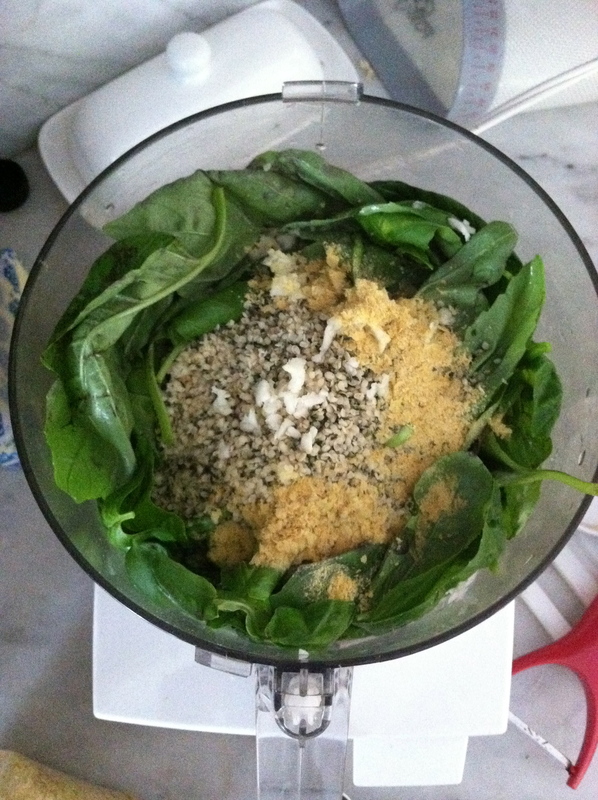 Then, add the sauce to the quinoa and then add the tomatoes and spinach. Prepare the kale. Add kale, parsley, lemon juice, avocado, extra virgin olive oil, sea salt, and black pepper to a large bowl. Massage the kale and other ingredients with clean hands. The kale should turn a bright green and become softer. Massage until well incorporated. Taste and adjust seasoning as needed. Add remaining ingredients. Add your chopped apple and shredded carrots to the kale mixture. Toss. Prepare the dressing. Preparing the dressing first allows the flavors to intermingle before using it on your salad. Add the orange juice, Bragg’s raw apple cider vinegar, olive oil, cumin, the pitted date, garlic clove, sea salt, and black pepper to a blender. Blend until smooth. Taste and adjust seasonings to your preference. Allow the dressing to sit for at least 15 minutes before dressing your salad. Toss the salad. Add your thinly sliced collards, red cabbage, and carrot to a large salad bowl. Add enough dressing to coat the salad, but not drown it. Add red pepper flakes if desired. Mix thoroughly. Enjoy! Cook your lentils. Drain your lentils and add them to a pot. Cover the lentils with water and cook over medium heat for 20 to 30 minutes. Add remaining ingredients. When lentils are cooked, drain and let them cool and pour olive oil on top. Add cooked quinoa, raisins, chopped basil leaves, and sea salt to taste. Stir all the ingredients in a large bowl and add olive oil. One roasted sweet potato with 3 tablespoons hemp seeds, garlic & sea salt, or opt for a sweet treat and drizzle your sweet potato with 2 tablespoons maple syrup, cinnamon & nutmeg. 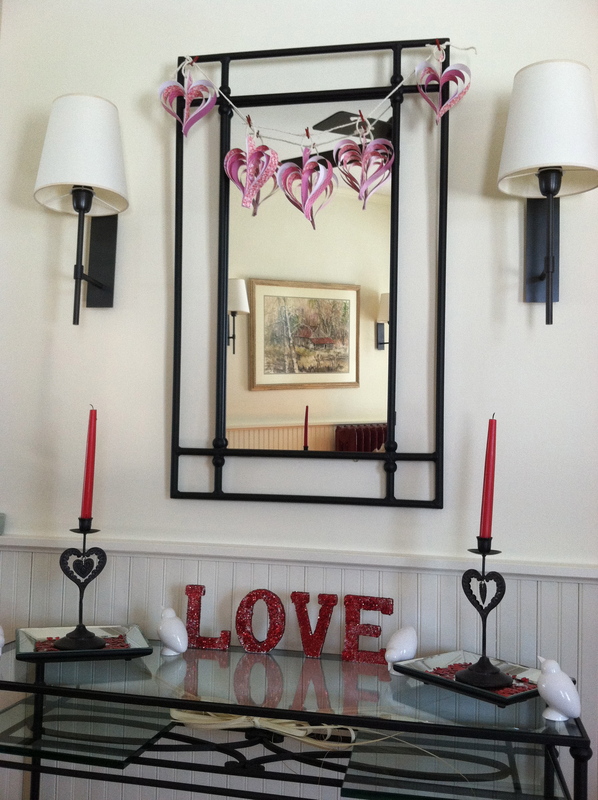 On a separate, non food note, my house is officially ready for Valentine’s Day! I am pretty sure Martha Stewart would be my best friend if we ever met. I am addicted to that pesto/quinoa recipe! There are all sorts of hidden protein sources that are not animal products…And dairy, my biggest dairy downfall in the past has been cheese. Growing up in Europe where you have amazing cheeses made it hard for me to stop consuming it. (that, and soft serve ice cream! ).